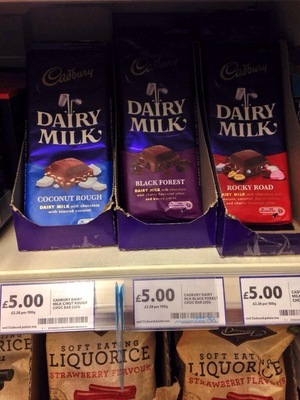 At an unspecified Tesco, today apparently. Easily trouncing last year’s record. 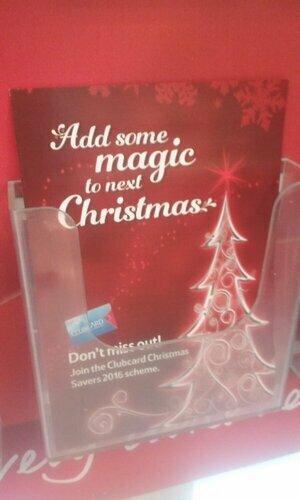 But It’s STILL Christmas Only 286 Sleeps To Go God Bless Us, Every One. How Much? 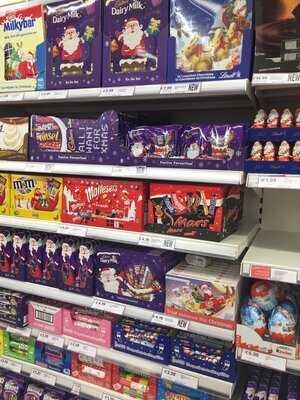 Posted in Misc and tagged Christmas, Tesco at 4:30 pm on September 7, 2017 by Broadsheet. I smiled happily when I saw the Christmas trees again (I’m always in there as I’m obscenely wealthy) in BTs today, wondering if it’s too early to change my ringtone to something Christmassy. The answer is no, obv. I know the guy responsible for Christmas FM. Other than that he’s a really nice fella. Chrimbo is a business folks. And it’s open for customers! Check the use by date. Probably last year’s stock. Happy yuletide, Eid, Hannuka, Diwali, Samhain, winter solstice – not forgetting Budda’s Birthday. We wish our shareholders happy dividends.